According to aggregated portfolio statistics, Berkshire Hathaway Inc. (NYSE:BRK.A)(NYSE:BRK.B) CEO Warren Buffett (Trades, Portfolio) and Fairfax Financial Holdings Ltd. (FFH.TO) CEO Prem Watsa (Trades, Portfolio) both own shares of Johnson & Johnson (JNJ) and David Einhorn (Trades, Portfolio)'s General Motors Co. (GM) as of fourth-quarter 2018. Both gurus also have a mobile technology company as their top holding: Buffett favors Apple Inc. (AAPL) while Watsa favors BlackBerry Ltd. (BB)(BB.TO). Warning! GuruFocus has detected 2 Warning Sign with AAPL. Click here to check it out. Buffett's conglomerate started investing in Apple during first-quarter 2016; over the past three years, Berkshire escalated the position to 249,589,329 shares, giving it 21.51% equity portfolio weight. The Cupertino, California-based company offers a wide variety of mobile technology products and services, ranging from the iPhone and iPad to Apple Music, iCloud and Apple Pay. Apple announced on Monday new streaming services, including Apple TV Channels and Apple TV+. Buffett said to CNBC anchor Becky Quick during Thursday's Gatehouse's Hands Up for Success luncheon that although he "loves to see [Apple's new streaming services] succeed," it is a company that "can afford a mistake or two." The Berkshire CEO said the number of hours viewers spend on content is limited by the number of hours of the day, i.e., the number of eyeballs and viewing hours "will not double." Further, Buffett noted there are already major players like Netflix Inc. (NFLX), Hulu, Amazon.com Inc. (AMZN) and Walt Disney Co. (DIS) fighting for viewers. Watsa's conglomerate, on the other hand, began investing in BlackBerry "about six years ago" according to his fourth-quarter 2018 shareholder letter. As of quarter-end, Fairfax owns 46,724,700 shares, dedicating 26.13% of the equity portfolio to the position. Watsa said in his letter that BlackBerry CEO John Chen has significantly transformed the company over the past six years. The Fairfax CEO said the Waterloo, Ontario-based company represents "the gold standard in mobile security" and it can provide a one-stop shop for cybersecurity with the acquisition of Cylance. Watsa closed his comments on BlackBerry saying it has potential to become a growth company again, powered by Cylance and its autonomous-car operating system QNX. Buffett and Watsa have a combined weight of 2.31% in General Motors. Berkshire's 72,269,696 shares occupy 1.32% of the equity portfolio, while Fairfax's 375,965 shares occupy 0.99% of the equity portfolio. During Thursday's luncheon, Buffett praised GM CEO Mary Barra for doing a "sensational job" adapting to changes and "thinking years ahead." The Berkshire CEO underscored how the auto industry can change over time and failure to think years ahead can lead to the business going obsolete. 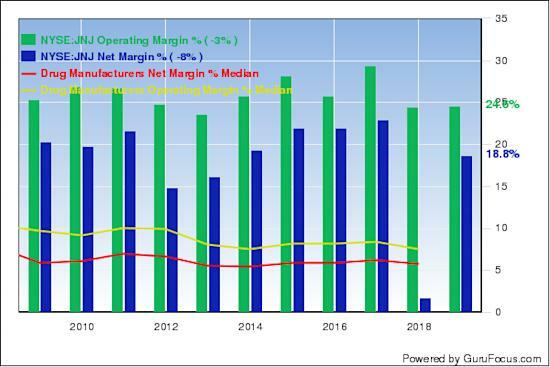 GuruFocus ranks GM's profitability 7 out of 10: even though operating margins are underperforming 66% of global competitors, the company's return on equity of 21.60% outperforms 86% of global auto manufacturers. Additionally, the company's Piotroski F-score ranks a strong 7 out of 9. Einhorn, portfolio manager of Greenlight Capital Re Ltd. (GLRE), owns 11,944,243 shares of GM, his largest holding as of quarter-end with 28.91% equity portfolio weight. Buffett and Watsa have a combined weight of 1.51% in Johnson & Johnson, a company engaged in the research, development, manufacture and sale of health care products through its three business segments: consumer, pharmaceutical and medical devices. 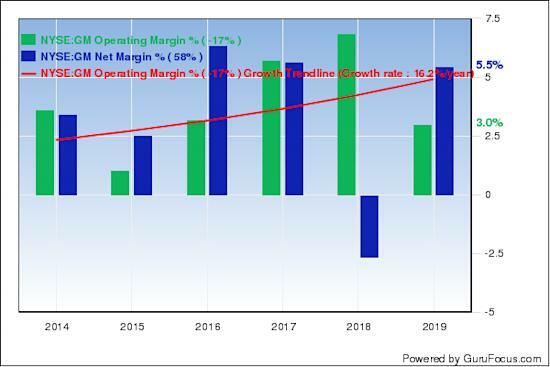 GuruFocus ranks the company's profitability 7 out of 10 on several positive signs, which include a strong Piotroski F-score of 7 and operating margins that outperform 87% of global competitors even though margins have declined approximately 1.5% per year over the past five years. Premium members can access a wide variety of features, including GuruFocus Real-Time Picks, the Aggregated Portfolio of Gurus, the All-in-one Screener and much more.